Thanks Terminix your service is there a good. Both the tech and the inspector were very professional and informative. Showed up on time and were fast and efficient. More than satisfied with my service! We are extremely pleased with the services that we have received from Terminix. They were able to solve our pest problem very quickly and efficiently. Their crew is very professional and have always been courteous and prompt to respond to any questions. They were also able to identify issues that we were not aware of. I wouldn't hesitate to call on them again or to recommend their services. On time, efficient and friendly service - thanks very much! The Tech does a great job when he comes and he on time for the appointment. Great job cleaning up underneath our home! The tech that came to spray this time did a good job. Haven't seen any critters. He mentioned to give it a week to see if they come back and to call if did come back. I was disappointed when I re wives a message that the inspection could not be completed due to a locked gate...I do not have locks on my gate. Very pleased with the service I am receiving. I pay a bi-monthly fee, and, no matter how many times I need them to come out during that time, I call and they are on it! Spot on! Professionalism all the way. I really appreciated how timely and efficient everyone was. Mr. Ken was wonderful to work with and the work was finished in a good time. Representatives have always been courtesy and knowledgeable. Very polite and pleasant. It has taken a few times but they have been very patient and encouraging about getting rid of my pest. I would recommend them to anyone. Yes extremely pleased especially with Kim Price. We like being a customer thank you for you service. Our last visit was a routine quarterly service. The technician was very informative and thorough in both interior and exterior treatments. The technician was very professional and friendly. I am always notified prior to a Terminex representative arriving at my residence. I am notified of results of all inspections. If there is an issue, I receive a call with additional information. I am pleased with my service. The Tech was friendly and informative. Great service with caring and helpful technicians !!!! Doing a great job regulating moisture in my crawl space as well as keeping the termites at bay. Thanks guys for all the great service. Keep up the good work. I have had Terminix for about 16 years and they have always taken care of everything quickly and professionally. They are also great about answering all your questions and educating you on pest control. I highly recommend Terminix!! 😁😁. We recently met with Kim Price over a bed bug issue. He is very professional, calm in nature and understanding. We appreciated that he really listened to us and eased our worries. As for Terminix, we appreciate the quickness they responded with in getting someone out here to help us resolve the issue. Thank you. The person that came to our home & treated our yard did an excellent job. When I have called you have answered the call I have been more than plesed with the service Rep's that have come. They have always been polite and professional. You have been kind even when I have forgotten to send my payments in on time the reminder call are very helpful . 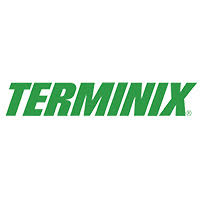 We are very happy with our Terminix service, and our service tech is always very knowledgeable. Service person was very professional. At first customer service was unacceptable. Easy to use and good communication. I’ve been a customer for many many years and I have no problems with your services.